Excerpts from the book Expressive Processing. Reprinted with express permission of the author. Author's Note: At this year's GDC Expressive Processing (published by MIT Press) was the only book included in the "Game Studies Download," a selection of the top 10 game studies publications over the last year. This excerpt from chapter 3 uses two influential games — Star Wars: Knights of the Old Republic and Prince of Persia: The Sands of Time — to explain the dilemma still facing those who want to combine games and fiction. NOTE: Mentions of "quest flags," "dialogue trees," and the "Eliza effect" refer to earlier parts of the book. The Game Developers Choice Awards are the Oscars of the game industry — the award with which members of a creative industry recognize achievements of their own. In 2004, game studio BioWare walked away with three awards that are of particular note for this discussion: Game of the Year, Original Game Character of the Year, and Excellence in Writing. All of these were awarded for BioWare's RPG Star Wars: Knights of the Old Republic (KotOR), which also won game of the year awards from a slew of industry publications. While certainly not the most recent major RPG, it provides a good example of the strengths and weaknesses of the quest flag and dialogue tree logics. KotOR uses quest flags and dialogue trees to reward and sustain engagement with its fictional world; establish patterns that, when altered, produce small moments of surprise and pleasure; and direct the audience's attention to a series of things that must be accomplished through play — which, like a magician's misdirection, keeps audience attention away from larger story developments until the moment they are revealed. A main quest provides the spine of the story. It represents a massive undertaking on the part of the player character to — what else? — intervene in events that will shape the history of the galaxy. In a manner typical for multistage quest design, the desired intervention requires learning the location at which these events are taking place, which requires gathering data from partial maps on several planets, which requires getting to the locations of these partial maps, which in each case can be accomplished in multiple ways, with each approach having multiple steps that may have smaller quests as prerequisites, and so on. Against this epic backdrop (with its many components, some rather mundane) other, optional quests are presented. Some involve developing the relationships between the main player character and her or his traveling companions. Others involve taking a role in the events happening on particular planets, often with a decidedly interpersonal element (e.g., a wife begs you to find evidence to clear her husband of murder charges, which soon leads to revelations of his infidelity, which you must choose whether to discuss with them). Some are quite small, such as discovering your ship has smuggled cargo aboard, being given the code for the container, and being offered good payment for the goods by a crime syndicate representative. In cases such as this last one, the player need only decide what the characters will do with the one-stage quest — and then enact the decision in the game's fictional world (travel to the places, interact with the objects, and talk with the appropriate NPCs). In addition to all these activities, there are also others embedded in the fictional world — ranging from the pleasures of exploration and spatial mastery to "minigames" of card playing and racing. Some of the minigames, in turn, can unlock additional quests and NPC interactions as well as provide resources useful in completing parts of the game to which they are less directly connected. Given all this, conventional wisdom has it that playing a major RPG takes experienced gamers something like forty hours. But fans of the genre often spend longer, indulging in many optional activities. In addition, many play through the same game multiple times. This is particularly true for games, like KotOR, that provide different gameplay options to characters that approach the world with different ethical stances. What drives players to spend forty, eighty, or more hours with a computer RPG? If we look only at the quest journal, where the operations of quest flag logics are exposed to the player, the appearance is of a massive indulgence in the pleasures of the to-do list. And certainly there is some of that. But, more centrally, KotOR is constantly providing doses of narrative closure and transition — from the small satisfactions of quest stages to the holistic sense of a planet's stories, characters, geography, and history that can be developed over one or many playings. Jill Walker Rettberg talks about the pleasure found in learning the quest-based fictions of a place, the "network of fragments, most of which are not necessary to experience the game fully, and yet which cumulate into a rich experience of a storied world" (2007, 310). At the same time, beyond its narrative pleasures, KotOR is also continually providing other reasons to keep going, to move one part of things along just one more step. A powerful element of this can be found in the rewards given with each bit of quest closure. Some rewards are as simple as cash that can be used to purchase items in the game, bribe recalcitrant NPCs, help those in need, and so on. When brought to fruition, many story elements also deliver experience points (XP), another convention borrowed from tabletop RPGs. As characters accumulate experience they increase in "level" and become more capable in the game world. Each new level is achieved at a particular number of XP, and the drive to hit the next number is another motivator for the "just one more thing" mind-set that can keep players at KotOR for hours after they'd planned to stop for the night. It is this quantified progression of a primary player character that has led William Huber (2009) to call the RPG genre a "statistical bildungsroman." And at forty, eighty, or more hours, the extent of audience engagement with KotOR is certainly more akin to a thick German novel of personal development than, for instance, a film (or even a season of television). But, again, a better analogy is probably with a tabletop RPG campaign — into which players can easily invest a similar amount of time. As in many RPG campaigns, KotOR works to create a sense of flexible story making couched in world exploration and character development. To this end, the player's character can visit planets in different orders and multiple times; quest items can be found at different points in the quests to which they're connected; and necessary items and information are often available in multiple ways. Nevertheless, while these things are also true of tabletop RPG campaigns, in KotOR and other computer RPGs they must be managed through quest flags and dialogue trees (rather than human memory, improvisation, and creativity). As mentioned earlier, this creates difficulties for game authors. Much of the narrative power of KotOR comes from the ways that it makes playable structures out of tried-and-true narratives. A self-contained example of this can be seen in one of the optional quests on the planet of Dantooine, relatively early in the game: the feud between the Sandrale and Matale families. I encountered this quest while playing the "Platinum Hits" edition of the Xbox version of KotOR — and it is worth noting that the experience of those playing other versions might be different. After being warned that tensions between the two prominent families were in danger of overflowing into a violent civil conflict, my party traveled south to the Sandral estate and spoke with the patriarch, Nurik Sandral. He told us that he felt great sorrow over the disappearance of the young Matale heir, Shen, but knew nothing about it. He told us that his own son, Casus, had been missing for some time — and speculated the two might have met similar fates amid the dangers of Dantooine. Nurik asked us to show ourselves out. But shortly after this his daughter, Rahasia, appeared. After I selected some friendly things for my player character to say to her, she revealed that her father had in fact kidnapped Shen Matale. In typically Shakespearian fashion, she and Shen had fallen in love. She gave my party a key to a side entry of the Sandral estate, making it possible for us to sneak in and rescue Shen. Once we reached Shen he refused to leave without Rahasia — and the result was Shen, Rahasia, and the three members of my KotOR party all coming out the side entrance at once, where we found ourselves confronted by the patriarchs of both families and their battle droids. After some tense dialogue-tree discussions (in which I chose statements supportive of the lovers and designed to defuse the conflict), Shen and Rahasia ran off to live in the safety of the Jedi enclave, while their fathers just barely held back from igniting a conflagration. Later, while exploring a portion of the planet further north, my party came on the Matale family compound. The guard droid granted us an audience with the patriarch, Ahlan Matale, who we had last seen as his son ran off to the enclave with Rahasia. Ahlan proceeded to demand at length that something be done to find his son — outlining his suspicions that the Sandral family had kidnapped Shen. He offered us a reward (which sounded more like a bribe) should his son be found. I suspected this inappropriate dialogue tree segment might be active because of a simple flag of the firstTimeTalked variety, so I took my party away and then returned to the compound. But flag structure was apparently organized in a different way. When we returned, Ahlan Matale came out again to demand an investigation into the possible kidnapping of the son he had already seen rescued from kidnapping. This illustrates one type of problem with the quest flag and dialogue tree approach, a type that results in inappropriate events. The other major type of problem was illustrated shortly, when my party discovered the body of Casus Sandral. An amateur archaeologist, Casus had apparently been killed by wild animals while undertaking a dig in a dangerous area. We immediately went to the Sandral estate with Casus's diary, in order to share it with his worried family. But the estate was shut down entirely, without even the droid out front who had greeted us on the first visit. This second type of problem is visible when the game seemingly arbitrarily shuts off quest possibilities that have the force of narrative drive behind them. Both types of problems emerge, most commonly, at the juncture between the freely explorable fictional world and the rigid structures of quest flags and dialogue trees. I encountered these problems regularly in my playing of KotOR. Just as the game expected me to visit the Matale estate before the Sandral estate, and produced inappropriate events when I visited in a different order, the same was true on a planetary scale. For example, I visited the home planet of one character who joined my party, Jolee Bindo, later in the game than KotOR's dialogue tree structure expected. As a result, much of the conversation between him and the main player character consisted of his darkly hinting at truths that had already been revealed in a dramatic fashion. Each conversation with Bindo undermined the sense of KotOR having a consistent fictional world. At the same time, the conversation path with another key character, Carth Onassi, was shut off entirely after not being pursued in the expected manner — despite the fact that there was clearly much to discuss. These problems do not spring from poor work at BioWare. It would be unreasonable, for instance, to expect lead writer Drew Karpyshyn and his team to have written (and sent for voice acting) different versions of Onassi's lines for each possible state of the story. As Chris Crawford has observed, such approaches "are always too much work for the designer and not enough meat for the player" (2004, 126). And it is unlikely that the tools at their disposal offered any more elegant (and tractable) method of addressing the situation. Once the sequence of expected timings between quest flags and dialogue sections was broken it might have made sense to allow the player character to ask personal questions and be brushed off, but this is essentially the same as shutting down conversation, as the KotOR team did. Which is to say that problems such as these spring from a poor fit between the simple, brittle structures of quest flags and dialogue trees, and the ambitious, flexible game design they are being used to support. Those of us familiar with the logic of milestone-based progression — from business plans, grant proposals, employee evaluations, and so on — know that any detailed set of milestones will generally meet one of two possible fates. First, as the situation evolves, it can become clear that the milestones will be revised for one or more reasons: the steps may not be what one originally thought, may not happen in the order originally thought, or might need to be divided up differently. Second, an alternative fate is that the milestones themselves become a fetish, irrationally driving behavior in a situation that they clearly no longer reflect. Even in a world simulated as partially as that of KotOR, precreated milestones still become an uneasy fit with the evolving situation. Unfortunately, only the second of these two fates is possible for KotOR's milestones, which cannot be revised by the system. Given this situation, the prospects for fiction in games may seem grim. But there is a widely practiced alternative approach to the combination of game and fiction — one that is more successful in important respects. At the 2004 Game Developers Choice Awards, KotOR had some competition. Another nominee for Game of the Year, a game that won the awards for Excellence in Game Design and Excellence in Programming, was Prince of Persia: The Sands of Time (PoP). PoP is a strong example of game fiction in its own right — which is no surprise, given that its main writer and designer was Jordan Mechner, a legend in the game design field for his pioneering games Karateka (1984), the original Prince of Persia (1989), and The Last Express (1997). Mechner is credited with bringing cinematic storytelling to computer games, pushing forward techniques from the realistic modeling of human motion to the integration of an overall story into an action game structure. Mechner is also an accomplished independent filmmaker — writing, directing, and editing films such as Chavez Ravine: A Los Angeles Story (2005), a documentary about a 1950s community evicted from land they were told would become a public housing project (where they would return to live) only to see Dodger Stadium constructed instead, through a process of greed, hypocrisy, and anticommunist hysteria. Bearing this in mind, it should be no surprise that PoP is one of the strongest examples of an entirely different approach to game fiction from that of KotOR. Rather than attempt to make the game's story a playable one (a story that changes shape depending on how play proceeds), PoP has a linear, semicinematic story, with a sense of inevitability artfully fused with a context for player struggle. The struggle, specifically, consists of innovative platforming action and acrobatic combat. For games such as PoP, the question is how to make this kind of combination, between audience-controlled gameplay and linear story, most productive. The typical structure for such combinations, in the computer game industry, is simple alternation. The audience is given moments and spaces of play that, when completed, yield scripted sequences that tell the story. Because this model involves so little connection between story and gameplay, game writers are often employed only at the end of game production. The game's play mechanics, spaces, and even characters are designed before the writer arrives (Bateman, Boon, Buckley, et al. 2003). The writer's task is to create a set of scripted sequences that will tie them together and provide an overall context. The results are frequently unsatisfying and can feel, for good reason, quite arbitrary. Mechner's games — like those of other designer/writers such as Tim Schafer (the creator of Grim Fandango , Psychonauts , and other well-regarded titles) — instead work to conceive the story and gameplay as integrated entities. The story of PoP begins with a war of aggression fought for reasons of greed. The war's booty includes a massive hourglass containing the Sands of Time. The possession of these sands, however, turns out to be more curse than blessing. When the briefly victorious Persian king seeks to enrich his friend with a present of the Sands, the result instead is to destroy the friend's palace and turn nearly everyone into sand demons. The prince's dagger, looted from the same palace as the hourglass, is the key used to unleash the sands. Both of the game's main NPCs — a woman, Farah, taken prisoner in the looted palace, and the vizier who betrayed the palace's owner and incited the unleashing of the sands — suggest that the dagger can also be used to improve things. But the vizier has removed the hourglass to the highest tower of the ruined palace. Mechner describes this as the result of simplifying the game's story as much as possible. In terms of traditional story, it is certainly efficient, with only three characters: a hero, a sidekick/love interest, and a villain. It is also efficient in terms of gameplay. For platforming, it provides a challenge (moving through a ruined palace) and a motivation (reaching the hourglass). For interacting with most NPCs, it supplies a motivation for combat and an explanation of why other modes of interaction are not available (they're sand demons). In other words, it focuses attention on what games do well (movement in space and combat) and offers an explanation for avoiding what they don't do well (interactions with characters) as well as a reason for moving forward. This is already better than most games, but PoP goes further in a number of ways. Centrally, it creates connections between gameplay and story. The most obvious of these is the dagger. It is both a key item in the story and the focus of what is innovative about the gameplay. The dagger can store the Sands of Time, making it possible for the hero to use powers that make movement and combat easier (e.g., turning back time when mistakes are made). The dagger only holds a limited amount of sand, which is replenished by withdrawing it from vanquished sand demons (a requirement lest they rise again). Story and gameplay also connect through plot twists. PoP's story employs twists — including one in which the dagger is lost — that also alter the experience of gameplay. Finally, as Mechner (2007) points out in his essay "The Sands of Time: Crafting a Video Game Story," PoP also works to give as many as possible of the key story moments to the player, in gameplay — as when the prince must face his own father, now a sand demon. PoP also makes choices at the level of process that are significantly different from games like KotOR. Obviously, given that there is only one, linear story strand, there is no complicated system of quest flags. There are also no dialogue trees. PoP instead uses what is sometimes called an "event-based" dialogue system. In essence, conversation is removed from the playable elements of the game. Instead of players choosing to talk with particular NPCs, certain events trigger conversation and voice-over. In most cases these are not presented as interruptions to gameplay — as happens in many games — but rather layered over it. The prince may think to himself as the player causes him to run down a hallway or swing from a pole. Farah may make comments about the prince's progress (or failures) in moving through a particularly difficult area, as determined by the player's actions. Or, in one case, the player may directly elicit a response from Farah — by moving the prince into a first-person camera mode and "staring" at her. PoP also shares one primary tool for NPC interaction with games like KotOR as well as nearly every type of game that includes NPCs: the finite-state machine (FSM). While on an abstract level all computers could be described as FSMs, in computer game NPC logic FSMs tend to be used a particular way. Each of an NPC's basic behaviors is defined as a "state" (e.g., patrol, attack, or retreat) with particular rules for transitioning from the current state to other states. For example, an NPC could be designed to move through a patrol animation (a patrol state) until an enemy is noticed (transition to an attack state) and continue attacking until the enemy is defeated (transition to patrol state) or the NPC's health is below a defined threshold (transition to a retreat state). There might be no rule allowing for direct transition from patrol to retreat — which would make sense generally, but not if the NPC is already badly wounded from previous combat. As with quest flags and dialogue trees, FSMs are simple to explain, easy to implement in software, low in their use of computational resources, and an authoring nightmare over a certain level of complexity. Luckily, they're a perfect fit for the exceedingly simple behavior of sand demons, who attack on sight and never retreat, as found in PoP. The end result, for PoP, is an experience elegantly designed to compensate for the crippling limitations of the processes used to represent story and character in today's computer games. And this opens up the next question. Authors of game fictions have worked hard — through conventions such as the quest-tracking journal and tree-driven conversations presented as menus — to avoid the Eliza effect. Rather than conceal the operations of their processes, game fiction authors seek to expose them to the audience. But, despite this, game fictions still face a dilemma remarkably similar to that outlined at the end of the previous chapter. Both KotOR and PoP take advantage of what games do well — in particular, simulated movement through space and combat. The relatively free-form actions allowed to players in these areas might be seen in parallel with the free-form text composition allowed to both those interacting with Eliza/Doctor and the students involved in Garfinkel's yes/no therapy experiment. The difference, again, is in what changes to the state of the system and influence on future operations can be produced by this interaction. PoP's fiction, like Garfinkel's experiment, has an extremely narrow range of possible responses to interaction. Either the player's actions successfully move the fiction to the next stage (a progression signaled to the player by the triggering of a scripted sequence) or they don't. The story system is, as players put it, "on rails" — and its structure can be completely exposed to the audience by letting them know when they are departing for the next metaphoric station. Meanwhile, PoP's NPCs are mostly only available for combat (the sand demons). The major exception (Farah) will occasionally offer a linguistic interjection in response to nonlinguist actions in the world, but this is another narrow interaction conduit. KotOR's fiction, on the other hand, while not allowing the free-form textual input of Eliza/Doctor, does accept many more actions in the world as input into its system of quest flags and dialogue trees (e.g., whether, when, and how to take on quests, take quest actions, speak with NPCs, move between worlds, etc.). Further, as this chapter has shown, such a system can have many more elements to it than the railroad system of games such as PoP (authors can produce huge amounts of data for the quest flag and dialogue tree processes, different subsets and orderings of which can appear with each playing). The result, as with an Eliza conversation, is that the number of potential outcomes is huge. Unfortunately, there is a mismatch between the great variety of situations in which KotOR is expected to perform a fiction and the simple model of fiction and character embodied in KotOR's processes — just as there is a massive mismatch between the complexity of human language to which Eliza must respond and its extremely simple model of conversation (as a series of transformations). The result, in both cases, is a tendency toward breakdown that takes a shape determined by the underlying processes. And, as with Eliza, the processes of KotOR are of a basically uninteresting shape. To put it succinctly, the practices of the mainstream game industry present authors of digital fictions with two bad options for going forward. One is to "design around" breakdown, as PoP does, and essentially forfeit the processing power of digital media at the level of the fiction. The other option is to attempt to layer a semiflexible story — organized as a set of ordered milestone progressions — over a much more flexible game world. This creates a space of play that, if embraced by players, leads to unsatisfying breakdown. In short, the time is ripe for a new approach to game fiction. But just as Doom could not be built on the approach to graphics in Myst, this will require an approach to fiction and character that is fundamentally different, that is more expressive and flexible than quest flags and dialogue trees. Luckily, this work does not need to begin from scratch. It can start instead by building on a history that has been present as a strand of practice within the artificial intelligence community since the time of Eliza. The coming chapters explore this history. 4. Another way of avoiding such problems was employed in the next game on which Karpyshyn was the lead writer: Mass Effect (Hudson et al. 2007). The long-term development of personal relationships with crew members is almost entirely restricted to conversations that happen while on board the ship, where characters are mostly separated from one another. This means that interaction contexts for each character are much more restricted. In addition to such work to avoid problematic complexity, Mass Effect also does more to account for what has already been learned on other planets in the dialogue for each individual planet. The result is a feeling of less temporal coherence in the development of personal relationships but more temporal coherence in the other elements of the plot. While I had been hoping for interactions in Mass Effect to be less restricted than KotOR's, moving in the opposite direction did lead to an overall increase in logical coherence. Which is not to say that logical problems don't crop up, though they are generally at a smaller scale. For example, when exploring the planet Trebin in Mass Effect I noticed something on the vehicle's scanner. It turned out to be a mine entrance. With Kaidan and Tali in my party, I entered the mine and fought a number of Husks. After the battle concluded my party members commented that the researchers (whose disappearance led to our visit) must have found something that turned them into monsters. What, then, is game fiction? In short, the term is intended to describe a category of game that draws upon and uses narrative strategies to create, maintain, and lead the user through a fictional environment in order to actualize a narrative and ludic goal. . . . [G]ame fictions are competitive, ergodic, progressive (and often episodic), and their primary goal is one of actualization. Game fictions are not limited to a single medium, although a game's particular materiality — should it include dice mixed with a game board, paper, or even the imagination — often reveals much about the game fiction in question. Noah Wardrip-Fruin is an assistant professor at UC Santa Cruz, where he teaches in the University of California's first undergraduate computer game degree program, co-directs the Expressive Intelligence Studio in the Computer Science department, and founded the Playable Media project group in the Digital Arts and New Media MFA program. 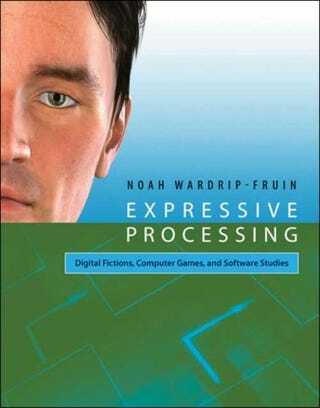 His most recent book is Expressive Processing: Digital Fictions, Computer Games, and Software Studies.